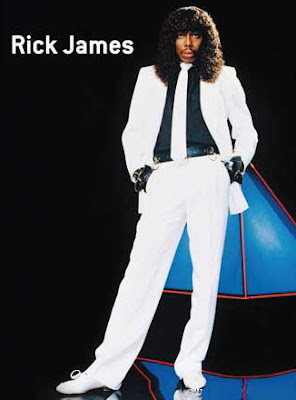 While we are pretty sure this is not a picture of Rick James of Carrollton, TX, the winner of the annual Ride for Kids® bike drawing, this is what came up when we googled his name. And the internet is always right…. Right? The crew at RSD is happy that a true “King of Funk” won and will appreciate this custom bike. 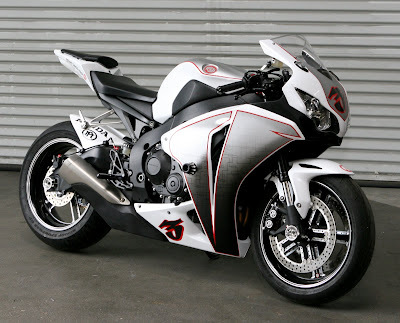 His new ride, “The Mission,” is a 2008 Honda CBR1000RR donated by American Honda and customized by the team at Roland Sands Design. James purchased two drawing tickets last November at the Cycle World International Motorcycle Show in Dallas. A friend had invited him to the show to take his mind off of his job situation. The Pediatric Brain Tumor Foundation (PBTF) randomly drew James’ name from more than 18,000 entries earlier this month. The drawing generated over $78,000 to benefit the PBTF, which runs the Ride for Kids program. Having just finished their third bike for the giveaway, RSD has helped to raise over $200,000 for the PBTF. Special thanks go to American Honda for the motorcyclee donation and for the logistics of moving the bike from show to show. We also want to thank Advanstar Communications, Cycle World Magazine, Performance Machine, Airtrix, Dunlop, Hotbodies Racing and Vortex Racing for making “The Mission” possible. Rumor has it that the crew at RSD may get their hands on another Honda bike for next year’s drawing. Check the Ride for Kids website for details in the coming months and to see what crazy creation RSD comes up with next. Also, don’t forget to go to motorcycleshows.com to find out where you can see the new bike in person at the 2009-2010 Cycle World International Motorcycle Shows.